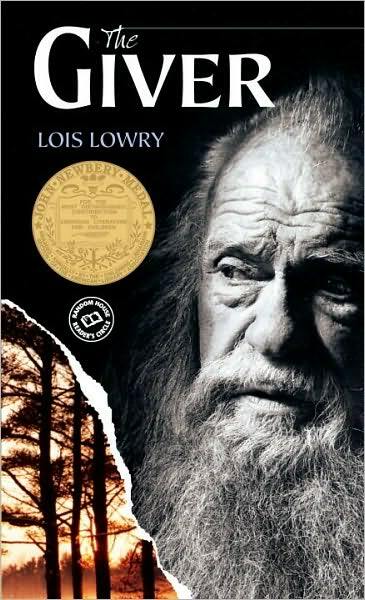 I first read The Giver in school when it was assigned reading. It was one of the few books that was assigned that I really enjoyed. I found it difficult to stop at the places where we were told to stop for homework. I needed to know what was happening and where the story was going. It became one of my all time favorite books. I have read it a few times throughout the years but I pulled it back out recently because I saw that they were making a movie. I was very excited about the idea of a movie at first, then I saw the commercials and I found myself highly confused. It looked so much more action packed then I remembered, the elders seemed more cunning and cruel and there seemed to be some love story. So I pulled out my book and read it again and I can say that I have doubts that the movie won’t even begin to do this book any type of justice. Jonas is turning twelve in his community where everything is mapped out and decided for the residents. He is given the job as Receiver of Memory and once he begins his training his whole life changes. The world that he believed was monotone and simple is nothing of the sort. There is a dark secret laying below the surface that makes him realize that he can no longer stay there. There are a handful of reason why I love this book so much. First off the writing is very simple, I was assigned it in seventh or eight grade.The images created are not complicated ones and even when The Giver and Jonas discuss the society and their way of life there is no extensive philosophical talk. Like the world that Jonas lives in, the story is written simply and easy to follow and read. I love how Lowry reflects the way of life in the community in her writing. The story moves so easily from page to page just as the people in the community move from day to day. I love Jonas in this story. A lot of the time I find myself loving side characters more than the protagonist but in this book that was not true. Jonas doesn’t realize his world is broken right away, he begins to doubt his community’s way of life slowly. His process of learning about what is missing from his world is not through a jolt of new information. At first he receives very pleasant memories of sunshine and boat rides and he likes the feeling he receives from them. He comes out of the memories wanting more of them, and he begins to question why these things are no longer part of their lives. He asks simple questions of The Giver. He is told that these things are no longer available to them because when people are given the ability to choose they choose wrong. This is a philosophy we can all understand, especially if you watch the news. Our world is full of people who make horrible choices and hurt others in the process. Instantly Jonas understands this idea. He knows that people not having choice makes senses on a very basic level. Jonas has been told what do and what to think for so long that it takes time for him to break out of the community’s hold. When he is told that he can’t have a boat ride because people can’t be trusted with choices he quickly agrees and says he understands. Though there is a small part of him that will not let the idea go. As a reader we watch as he struggles to learn to think for himself. I like how gradual this change is. There are a few key moments in the story that give Jonas a kick to make him see that his community’s way of life is just not right. The Giver gives Jonas the memory of love of a family. One of the many forms of love and in my experience one of the strongest. He falls in love with the feeling of love but finds himself upset and disappointed when he learns that that feeling no longer exits. When he asks his parents if they love him they correct him for his use of language. It is because they have no idea what the word really means. No one has strong, real feelings like love and hate. Jonas is extremely upset that he cannot live in a world where love exists. This is one of the moments where he begins to realize that his community’s way of life is not right. Why get rid of a feeling so fantastic and uplifting as love? He understands that having a choice can hurt but he begins to see that having no choice hurts just as much as making the wrong one. The feeing of love makes him realize that their way of doing things is not better, it does nothing but turn them into automatons and now that he has been shown the light, so to speak, he will not go back. Then Jonas sees his father basically euthanize the smaller of a pair of twins. This is the moment where Jonas’s whole world completely implodes. He is horrified as he watches his father kill a child without a single ounce of remorse or real feelings. He does it casually because it is part of his job and it means nothing to him. Jonas breaks and he cannot and will not live in his community anymore. He refuses to stay in a place where literally nothing means anything to anyone. They get up and work and move around their world because that is what is expected of them. Without choice and without real emotions they are just existing and nothing else. Jonas knows there is a life where you can do more than exist and he wants that life. Jonas doesn’t raise his fists and try to fight his society because he knows that would be pointless. You can not argue and change the mind of people who do not have the ability to really think. All they would do is spout off sayings and nothing would help. Instead he makes a plan to leave the community and when he does they will be forced to deal with the memories he has in him. He hopes that by leaving and giving them these memories it will be the spark to create a fire of change. Jonas is not cruel. Yes, he is extremely upset. He feels betrayed and he is angry but he does not want to destroy these people. It is not their fault. This is a crucial point in the novel. Jonas wants his community to see that life can have meaning. He wants to get somewhere where he can live a real life and he hopes he can give his community a small part of this as well. Jonas is not a monster and he is not a rebel. He is a confused and hurt kid who just wants to really live and he wants others to do the same. This I think is where the movie is going to fail. In the commercials it looks as if Jonas is actively trying to fight the system. It also looks as if his community and the elders are full of cruel and evil people. Like they know exactly what they are doing and do it to hurt the people. This part angered me when I saw it. The elders and the rest of the community have lived this way of life for their entire lives, just as their parents and their parents’, parents and back and back. They do not know anything else. The only person who knows about what life should be like is the Receiver of Memory. None of them are really to blame for this whole thing. They have no other way of living. The Giver continuously tells Jonas that the people know no other way of life. He wants Jonas to understand that he can’t truly blame the elders or his parents for the lack of emotions or choices in his life. The elders are not these sadistic horrible people who created this world and took everything away because THEY thought it was right. It was their ancestors decision, they are just victims of a screwed up system. Jonas sees that he can’t really fight them adnd that is why he leaves. He can only change things by leaving and giving them his memories and forcing them to see the world in a new light. In the movie it seems like the elders are cruel and know exactly what they are doing. I do not like how they make them seem like this controlling cruel government type instead of these helpless people who are just doing what they are supposed to. I will see the movie either when it comes out on DVD or on Netflix and maybe I will be proven wrong. But right now I think they tried to make this story into something similar to the Hunger Games or Divergent and it is nothing like those. This book has so much more packed inside of it. It is a struggle of a young boy to learn that life has to have so many things for it mean anything. Love cannot exist without hate. Joy means nothing without pain. Happiness only feels so good when you have felt heart breaking sorrow. Emotions are messy and yes, people can and will make the wrong choices but without these ideas what is the point of life? The Giver explores this question and we see that without choices and emotions life is meaningless and boring. Posted on September 3, 2014, in Book Reviews, fantasy and tagged Book Review, fiction, Louis Lowry, The Giver. Bookmark the permalink. 1 Comment.